3lb pull weight. Small Pin 0.154″. 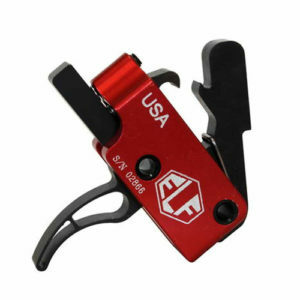 Designed to be installed into any small pin AR lower receiver. Complete Drop-in Assembly. 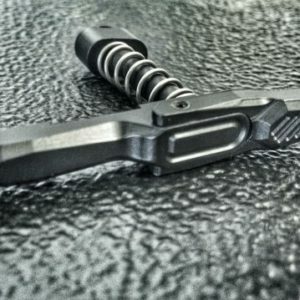 The trigger group comes as a pre-assembled housing and it drops into your gun easily and no gunsmith is required. Nice, crisp, clean feel. Every trigger is 100% made in America. 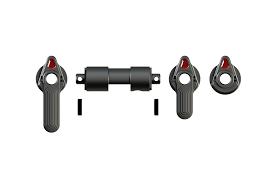 EDM wire technology and all tool steel are used to precision manufacture the trigger, hammer and the disconnect. They are heat-treated to give you an exceptional lifetime of service. The housing for the trigger assembly is machined from 6061T6 billet aluminum. The housing is then green anodized to provide you with a lifetime of durability. The trigger is black oxide then hand polished to create the smoothness you desire from an exceptional trigger. 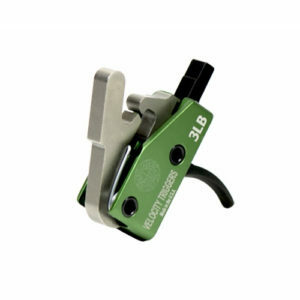 The hammer and disconnect are treated with NP3 by Robar to give you the super smooth feel you expect from a high quality trigger.